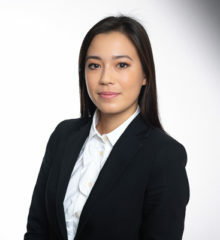 Céline Breitenmoser joined LALIVE in September 2018 as a trainee. Before joining the firm, Céline Breitenmoser completed an internship at an international US law firm and at a Swiss law firm in Zurich. She also worked as a legal consultant for a family-owned enterprise. Céline Breitenmoser holds a Bachelor degree in Law and Economics (2016) and a Masters degree in Law and Economics (2018) from the University of St. Gallen (HSG).